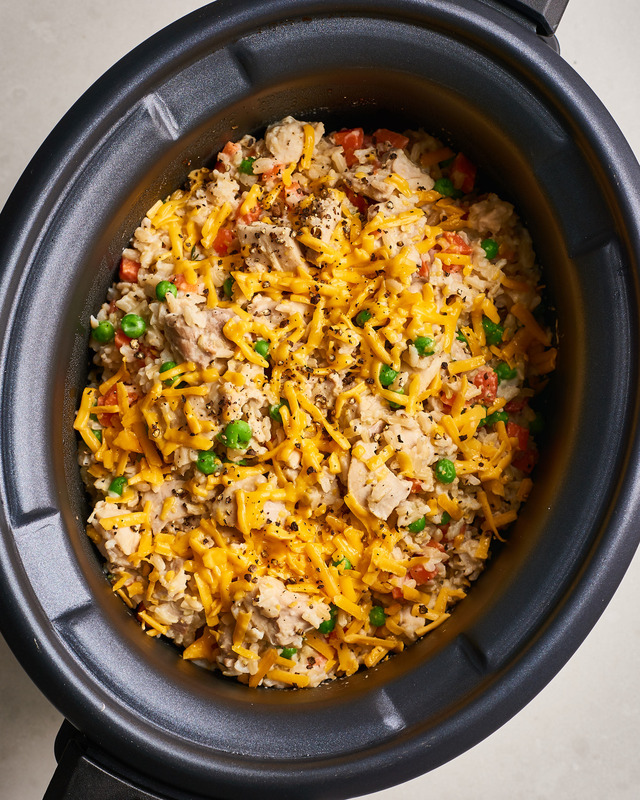 Slow cooker chicken and rice is exactly as easy and delicious as it sounds. You throw a few ingredients into the slow cooker and come home to a comforting dinner. But the ease of this recipe is honestly second to its deliciousness. 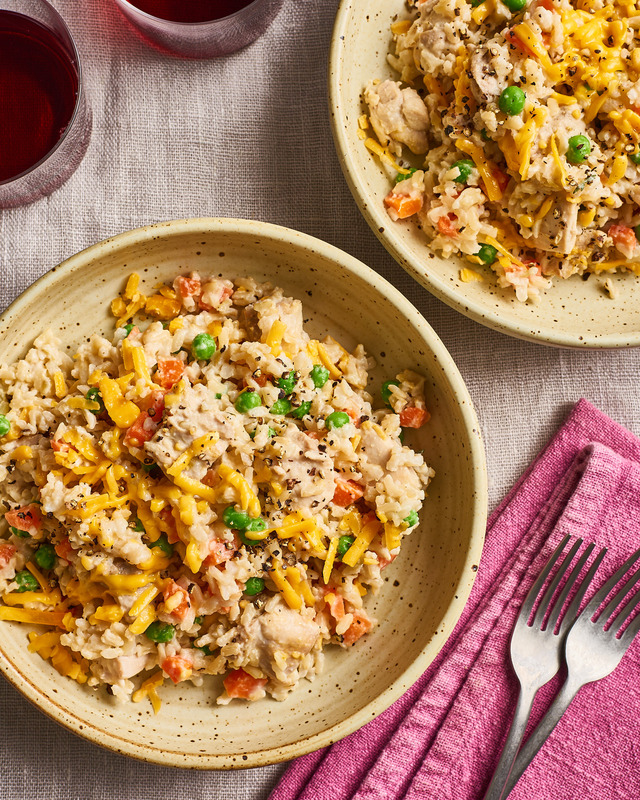 The savory, homey casserole is packed with tender pieces of chicken and creamy bites of sweet vegetables, all mixed up with soft and cheesy rice. The kid-friendly dish takes just 20 minutes to prep and uses pantry staples you鈥檝e probably already got on hand. 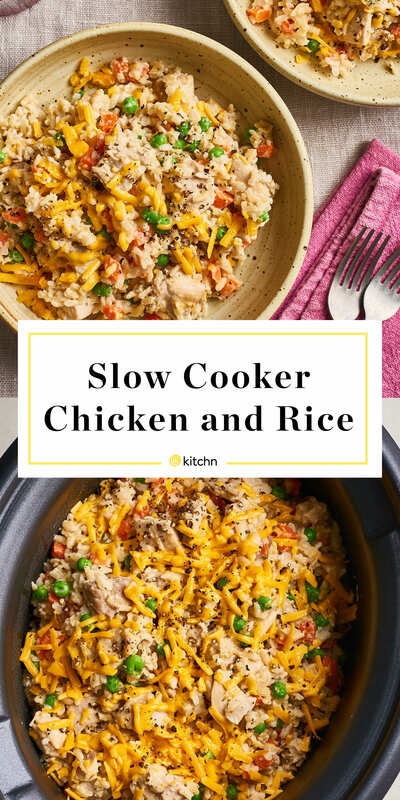 Here鈥檚 how to make the best creamy, cheesy chicken and rice in the slow cooker. If you didn鈥檛 grow up with this comforting classic, cheesy chicken and rice is a combination of creamy rice, cheese, chicken, and vegetables (sometimes broccoli, sometimes peas and carrots) that often uses canned soup as a base. This version uses chicken broth instead and calls for adding cream cheese and shredded cheddar at the end of cooking. The frozen vegetables are also added at the end to ensure they鈥檙e tender and sweet and not mushy. Coat the insert of a 6-quart or larger slow cooker with cooking spray. Turn on to the HIGH setting. Add the rice, garlic powder, onion powder, thyme, and salt and stir to combine. Add the chicken overtop in an even layer. Whisk together the broth and mustard in a liquid measuring cup until combined. Pour the broth mixture over the chicken. Cover and cook on HIGH, without stirring, until the broth is absorbed, the rice is tender, and the chicken is cooked through, 3 1/2 to 4 hours. Add the peas, carrots, and cream cheese and stir until the cream cheese is mostly melted and combined. Top with the cheddar, cover, and cook until the peas are heated through and the cheddar is melted, 10 to 15 minutes more. Serve warm.